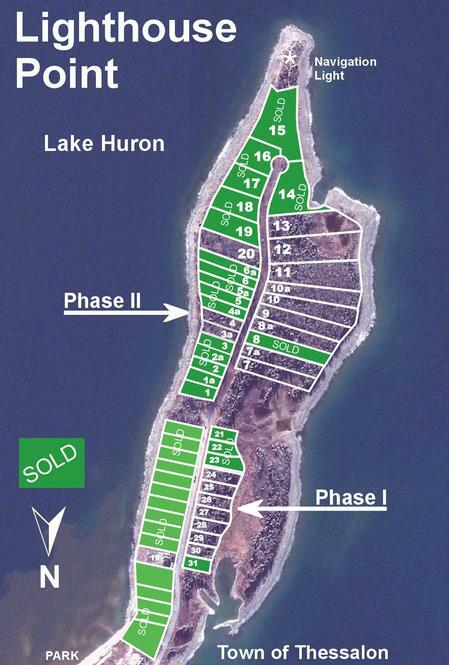 (Lighthouse Point) Phase I - 6 waterview lots on Lake Huron available (80' X 250') Phase II - 17 waterfront lots on Lake Huron 50 miles east of Sault Ste. Marie, Ontario near Highway 17 east at Thessalon. 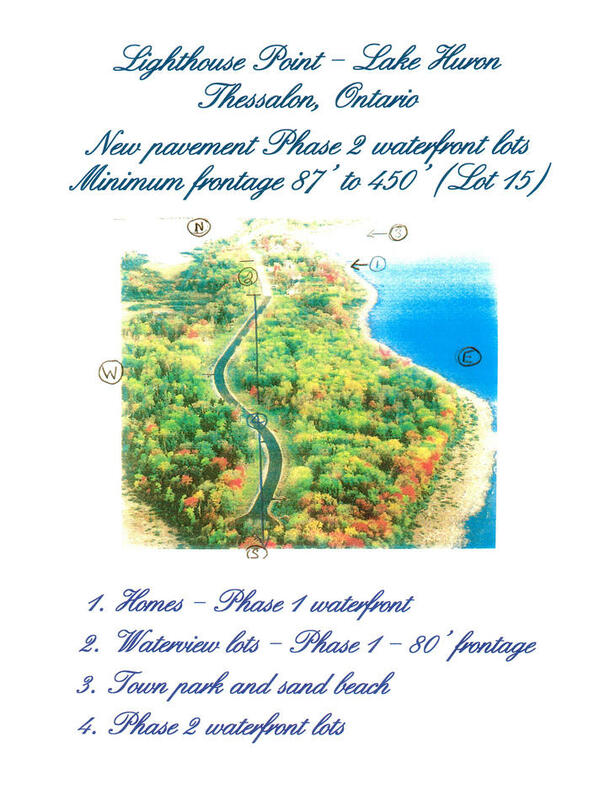 Lots are on paved street, sewer, water, gas, power and cable services. 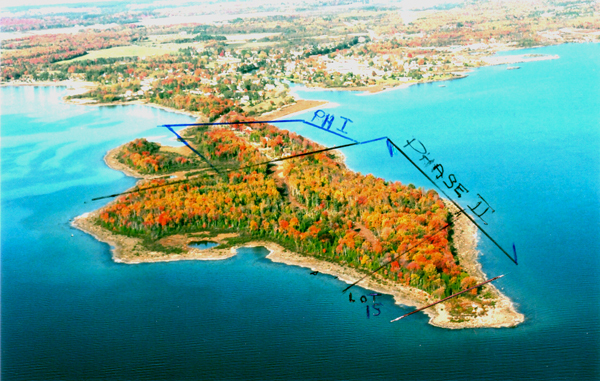 Lots have 80' - 478' frontage, depth 197' - 722', 7 face west, all 100% forest covered, in exclusive area. Near to new marina and airport. Excellent deer, bear and moose hunting within 1/2 hour of area. 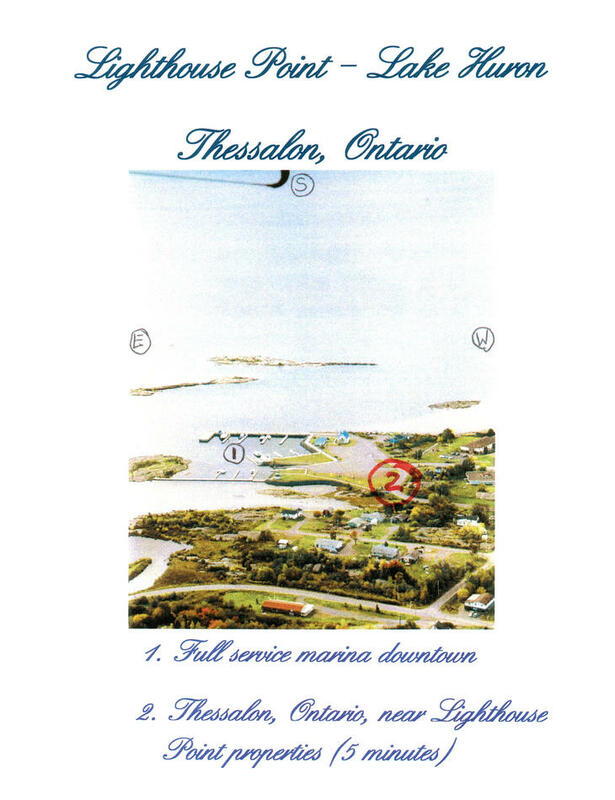 Prime fishing, Walleye, Northern Pike, Salmon, Lake Trout, Rainbow Trout in Lake Huron and inland lakes on Government land in area. 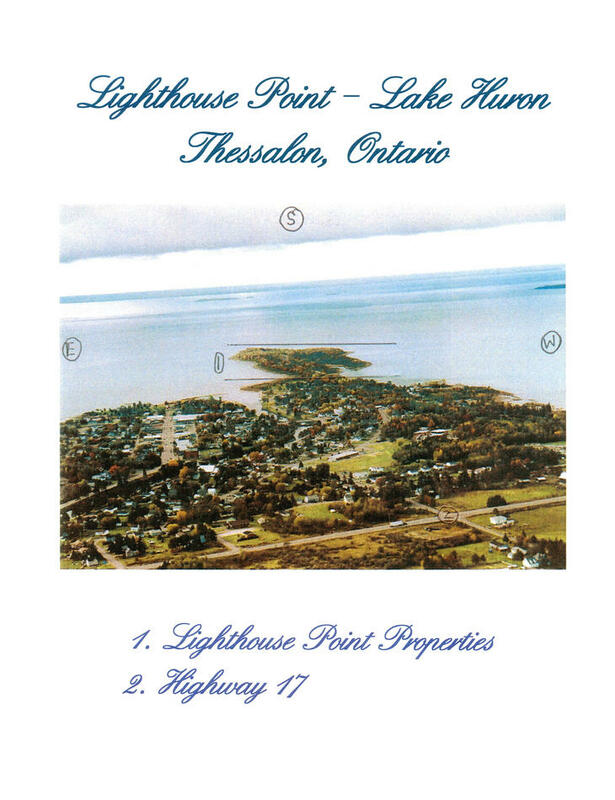 Lighthouse Point, a 3/4" mile peninsula of land on Lake Huron at the edge of a quaint town of 1,500 residents, is surrounded by some of the most majestic scenery the internationally recognized North Channel cruising area has to offer. This unique setting with its captivating wilderness and small town amenities promises an unparalleled quality of life and year-round peace and beauty. 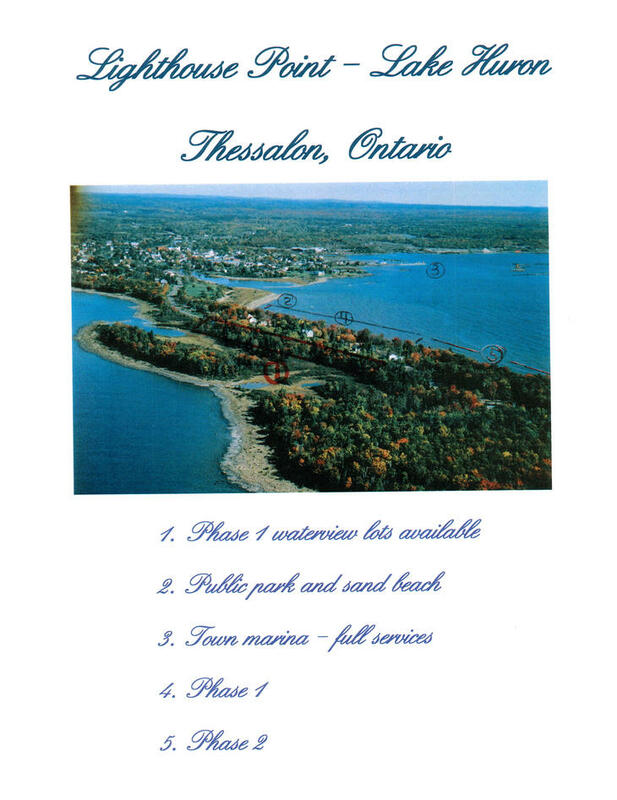 In the summer there is cruising and fishing in the famous North Channel serviced by a new marina in the town of Thessalon. The fall brings the colours of a magic carpet of maples, and the best moose, bear and deer hunting in the district. The winter season offers 'Mountains of the Midwest' a downhill ski resort at Searchmount less than 2 hours away, cross-country skiing, snowmobiling and ice fishing right from your doorstep. 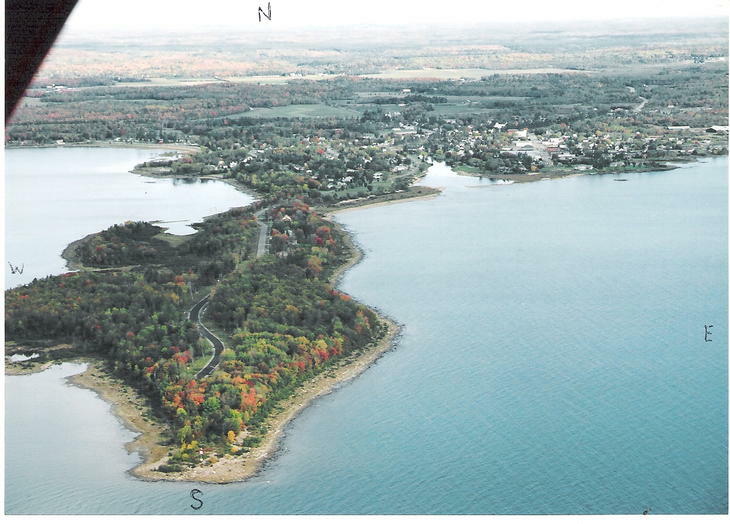 With its exclusive location, Lighthouse Point entitles you to enjoy the cozy atmosphere only a small town can offer. 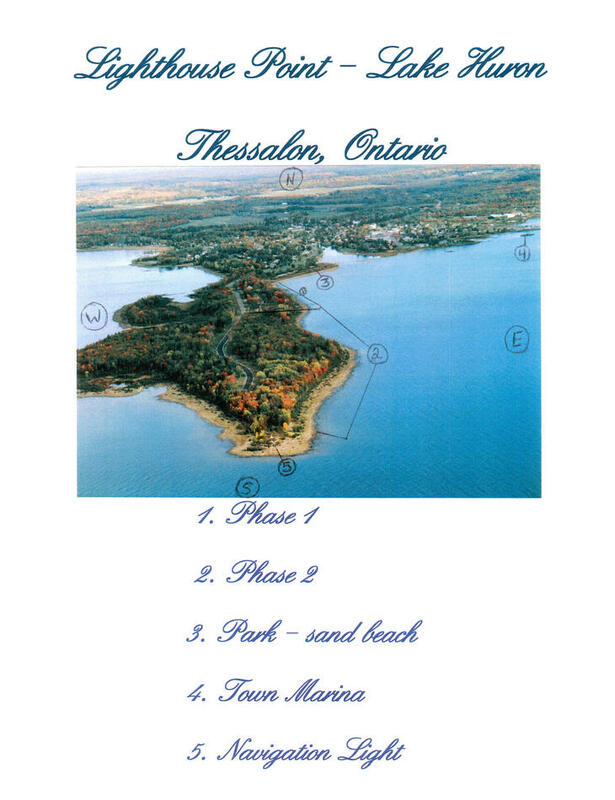 With all that it has to offer it's easy to see why Lighthouse Point Waterfront Lots are called a tourist vacation land. 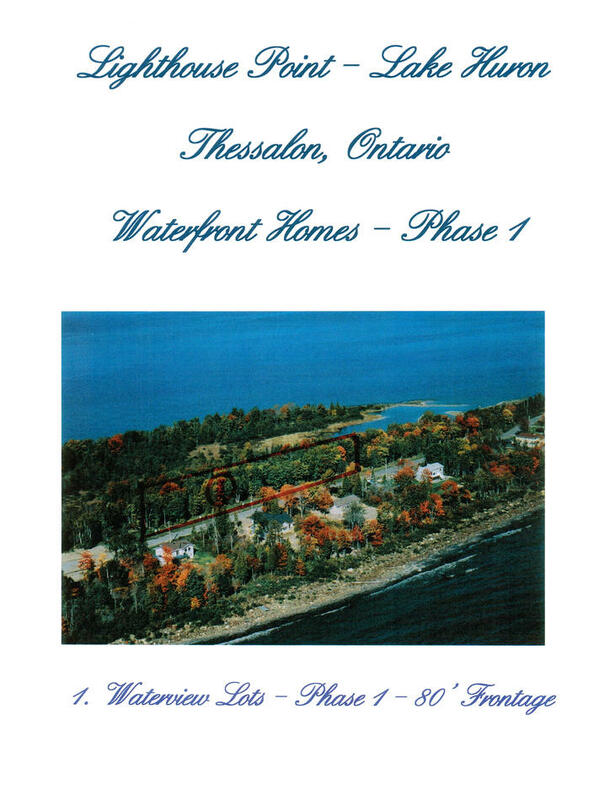 Each of the waterfront lots offers the beauty of either the sunrise or sunset across the majestic waters of Lake Huron. Each resident also enjoys first-class services with municipal water and sewer, natural gas, cablevision, hydro and telephones. On the safe side, Hosptial, Fire and Police are always at your disposal - just minutes away. In addition, Harmonized Sales Tax (HST) of 13% on applicable lots. Partial Bank Financing OAC available on Canadian Funds only. No time limit for building! 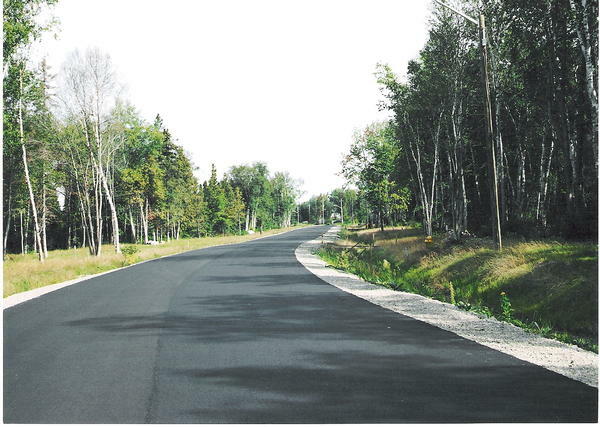 All lots serviced with sewer, water, gas, hydro, bell, and cable on our paved street with street lights. © 2007 Lajambe Enterprises Inc. All rights reserved. Designed by miramar design studio.